Blakemere has selected The Joshua Tree as their chosen Charity of the Year - join in the many celebrations and come along to the Superheroes and Princesses magical event. Once upon a time your favourite Superheroes & Princesses embarked on an adventure around Blakemere Village... A magical spell was cast and they were all frozen in time! This spell has now been lifted leaving them all stranded. 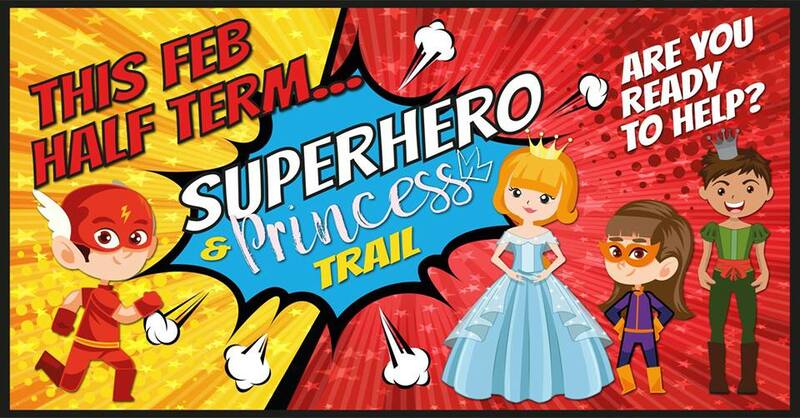 We need your HELP 'Trainee Superheroes & Princesses' to reassemble the team... ARE YOU READY? Great for 3 - 11 year olds! £3 per trail form includes prize.